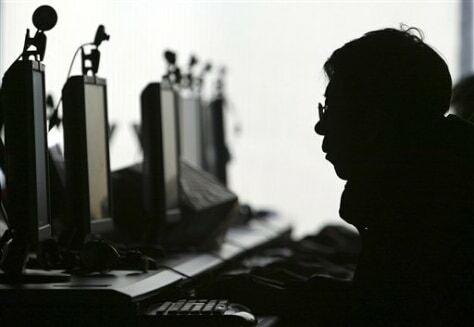 A computer user is silhouetted with a row of computer monitors at an Internet cafe in Shenyang, northern China's Liaoning province. China is tightening control of the Internet when rules go into force limiting online video-sharing to state companies. But regulators, wary of hurting a fast-growing industry, are expected to let private operators work around the restrictions.